We are living in exciting times. Elections are coming and so is Summer. Market sentiments have turned positive and optimism is in the air. Markets are driven by greed and fear and an intelligent investor knows how to control both. At Groww, we continue building the platform, irrespective of the market direction, to keep improving the investing experience for you. 1. Daily portfolio updates: If you have enabled notifications for Groww, you shall get a push notification for daily changes in your portfolio. 2. Assistant: Just like the name suggests, Assistant will help you in choosing the right funds for you. However, please note that the ultimate investing decision in yours. So please go through all the information and invest wisely. 3. Tax Receipts: Something that your HR manager needs it more than you do 🙂 Whenever you invest in any ELSS fund, your tax receipts can be downloaded anytime after from within the app. 4. Dark mode: For the Batman fans. The coolest feature many are already using. 5. 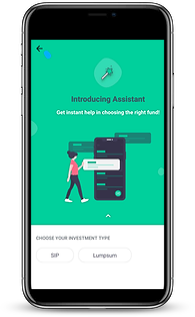 Investment Cart: Now you can add all the funds you want to buy in a cart and pay for them in one go. No more hitting bank payment page every time you invest in a fund. 6. Additional Fund Details: Check out the latest mutual fund pages on Groww website and you will see a lot of details that can help you better decisions. You can see details like returns comparison with categories, fund manager information as well as the complete list of all stocks invested by the fund. These details will also be added on mobile apps soon. Now, some of the features that we promised but not yet live 🙁 and you deserve to get updates. 1. UPI: Our team has been working hard for the last many months, but the release has got delayed because of third-party dependencies. Some mistakes made and some lessons learned. That also means that you should be able to pay using UPI very soon. 2. Portfolio insights: We have been conceptualizing on ideas that can provide you a complete health check for your investment portfolio. Something very important but still work in progress: but we can promise, when we launch it – it will amaze you. 1. Track & Switch: Tracking your outside investments and switch your regular funds to direct. 2. Smart Save: A perfect substitute for Fixed Deposits. 3. Referrals: Earn up to Rs. 10,000 when your friends invest through Groww. 4. xPerts: Still under experimentation. You can read the latest updates in the markets. We will continue to build Groww to make your investing experience delightful. Lastly, I want to mention that your feedback drives most of our product roadmap. So please keep writing to us. How Can You Generate a Folio Number Without Paying? Surgical Strike on Black Money – Is the Objective Correct? Why Savings Account is not actually Savings Account?